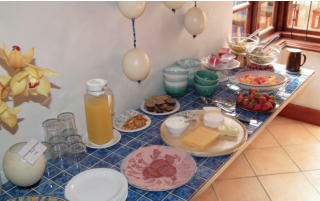 Continental breakfast buffet and cooked English breakfast! 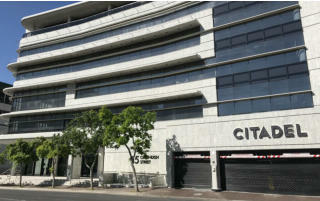 Central location in Cape Town and Claremont CBD! All Sightseeing in less than one hour to reach! Clarence House is centrally situated in the Southern Suburbs of Cape Town and in walking distance to Claremont CBD, major clinics, office parks, Cavendish Square and many restaurants. Opened since 1999 and run as a bed & breakfast establishment in the leafy residential area of Upper Claremont and Newlands in the Southern Suburbs on the south eastern slopes of Table Mountain close to Kirstenbosch Botanical Gardens. You get a personal and attentive service for your leisure and corporate accommodation needs in and around Cape Town. Cavendish Square Shopping Centre is 600 m from Clarence House, while Kingsbury Hospital is 800 m away. The nearest airport is Cape Town International Airport, 13 km from the property. We speak your language! Clarence House is centrally situated in the Southern Suburbs of Cape Town and in walking distance to Claremont CBD, major clinics, office parks, Cavendish Square and many restaurants. Opened since 1999 and run as a bed & breakfast establishment in the leafy residential area of Upper Claremont and Newlands in the Southern Suburbs on the south eastern slopes of Table Mountain close to Kirstenbosch Botanical Gardens.